From The Most Rev. Michael Curry’s sermon at the royal wedding of Prince Harry and Meghan Markle in May. 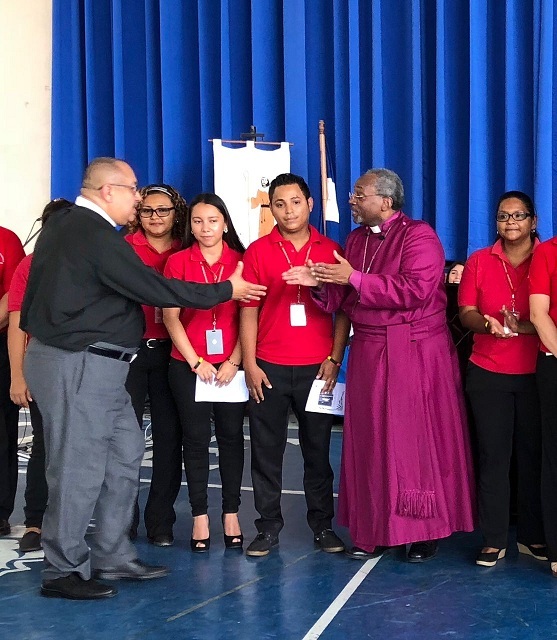 Just one month earlier, Michael Curry, The Presiding Bishop of the Episcopal Church, visited the Episcopal Diocese of Honduras where our Honduras executive director, the Rev. Pascual Torres, and staff met him. “He was quite impressed and moved with our work,” Pascual wrote.